This is a topic I keep returning to – wanting to know which of your subscribers are currently in a sequence. Because, like I keep saying, you really don’t want to be sending regular newsletter broadcasts to your new subscribers as they’re going through your welcome sequence. It’s really jarring, can make you look salesly, and is generally going to undo any of the good work you’re doing in your nurturing them to being lifelong fans. If you want a straightforward roundup of your options, you can get my guide here. (If you choose option 3 in that guide though, there’s a more detailed explanation in this blog post). However, it has more recently come to my attention that whilst ‘In Sequence’ tags work great 95% of the time, there is one scenario where they can cause absolute chaos. If a subscriber is subscribed to a sequence for a 2nd time (e.g. 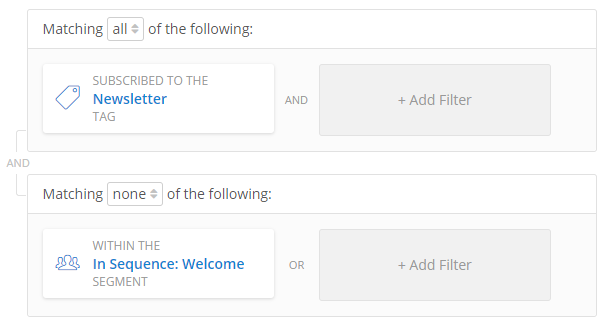 a welcome sequence), then they have the In Sequence tag added, but they don’t receive the emails (because ConvertKit only sends subscribers a sequence once), and then they’re never considered to have ‘finished’ the sequence, which means they never have the In Sequence tag removed. They’re eternally tagged as being in a sequence that they’re not actually in or receiving. The easiest way to handle this is to create an automation rule that unsubscribes subscribers from a sequence as soon as they complete it. 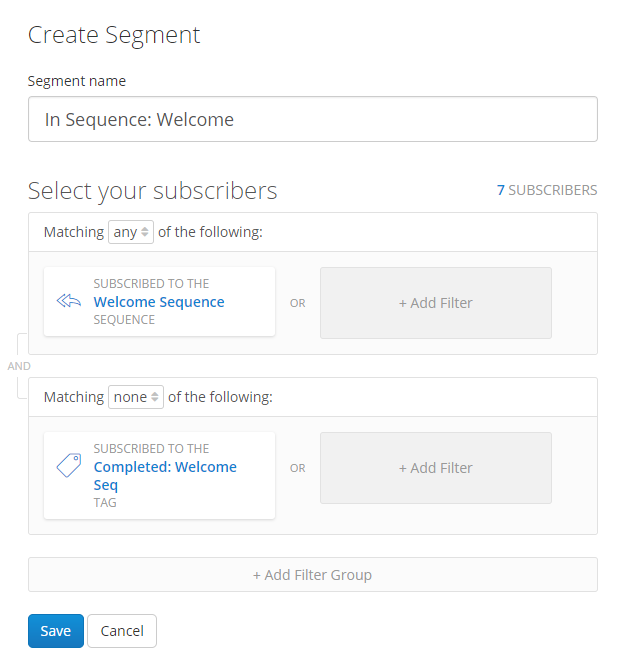 If you’ve already had a bunch of people finish the sequence, you can publish a new email at the end of the sequence and existing subscribers in there will complete the sequence ‘again’ and be unsubscribed from the sequence. However, if you may want to add additional emails to the end of a sequence and have existing subscribers receive them, or if you’ve got subscribers excluded from a sequence and they therefore never complete it, I’ve shifted to using ‘In Sequence’ Segments instead. For this we’re primarily interested in when they finish a sequence, and from there we can easily work out who’s currently in the sequence (for real – not just stuck in there!). If there’s only ever one source for each sequence (1 form or 1 ‘completes another sequence’), then In Sequence tags should still work fine. This is going to be most important for people who have several entry points into the same sequence, and they may have subscribers entering the sequence several times (even though they only receive it once). Just a reminder that completing a sequence is classed as when the last published email in the sequence has been sent. You’re going to repeat this for every relevant sequence (I’d say any with 2/3+ emails). You may also be subscribing them to other sequences and such in the rule, but it’s the Completed tag we’re interested in adding. You want to set up a segment for each ‘Completed’ tag you just created. The effect of this is to show anyone currently subscribed to the sequence (and subscribers are considered permanently subscribed unless you unsubscribe them via an automation rule), but not people who’ve completed the sequence. Advanced note: If you have any exclusions from your sequence (i.e. the sequence as a whole or from the last published email in the sequence), you also want to add those to the ‘none’ section of this segment. This is because ConvertKit considers subscribers ‘in’ a sequence even if they’re excluded from all of it or 1 specific email. If they’re excluded from all of it or the last email, they’ll never finish the sequence and they’ll never be tagged as having completed. There is a very slim chance that occasionally someone will be excluded from the ‘In Sequence’ segment but is currently receiving earlier emails in the sequence before they are excluded from the sequence itself, but this is likely to be extremely rare. Hopefully this gives you an idea of the variations and targeting that’s possible. If you’ve set up a custom unsubscribe link for people to stop receiving a specific sequence (but remain on your list), then you need to work out the most appropriate rule for you. The question to be asking yourself is: “When someone finishes the regular version of this sequence, what usually happens?” You want to make sure that this is reflected in your automation rule as they’re not going to finish in the regular way. Note: If you unsubscribe someone from a sequence, you can’t manually (or through automation) get them reactivated/resubscribed. You have to email ConvertKit Support to do this. Sometimes you may want to add additional emails to a sequence, these emails will send out to all subscribers in the sequence by default. Often you don’t want that to happen. If this is the case, then you can just exclude the ‘Completed: _____ Seq’ tag from the newly added email(s) and people who’ve already finished the sequence won’t get it. 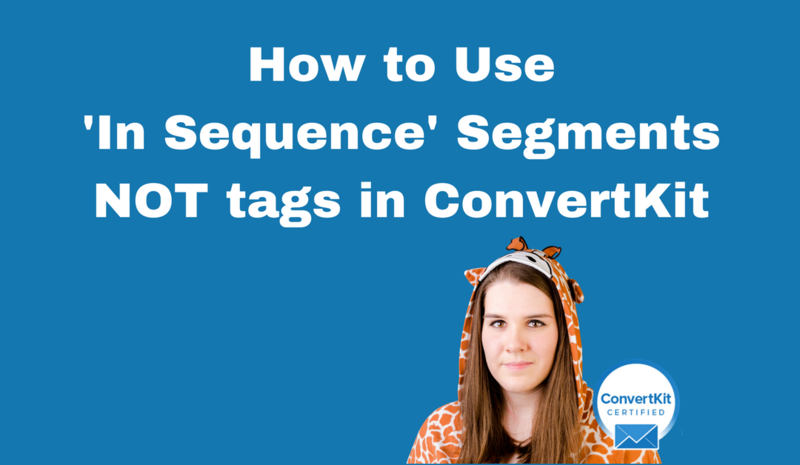 Changing from In Sequence tags to In Sequence segments. There may well be other groups who you want to consider as having ‘finished’ the sequence (either due to exclusions or other automation rules that took them off to other sequences based on actions e.g. buying something). Please do feel free to contact me if you’d like some help figuring it out for your setup. Here’s the thing though, I’m pushing the limit of what’s possible in ConvertKit, and that’s a super exciting thing to be doing, but it does mean that sometimes I don’t get it quite right, or unanticipated things happen as a result of the workarounds I dream up. 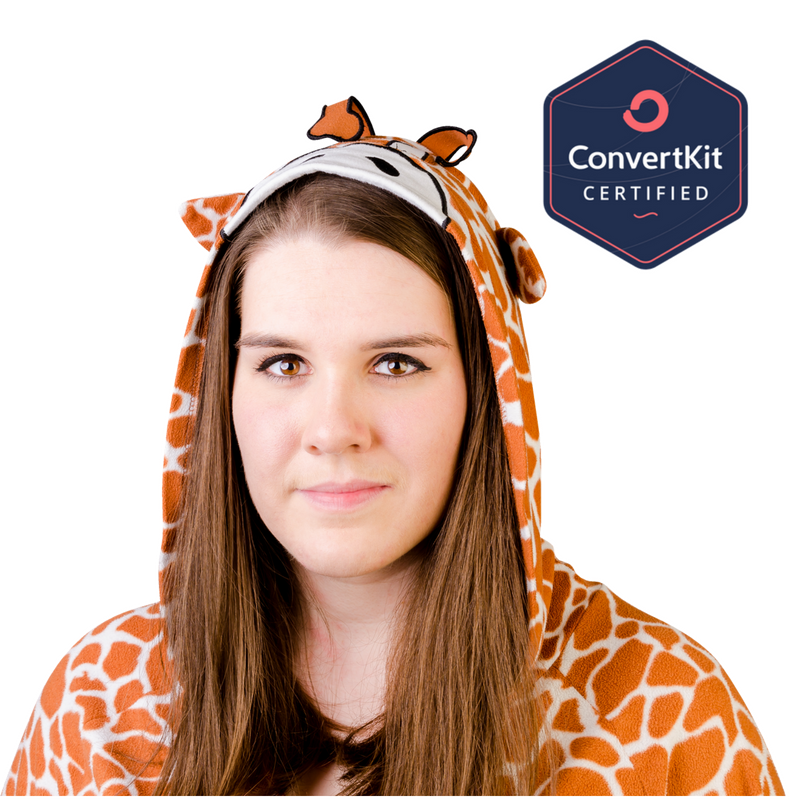 I’m constantly developing and fine tuning my approach to ConvertKit, and that does occasionally mean changing things. If you were previously using In Sequence tags and you’re worried that you may have people ‘stuck’ as a result, please do feel free to contact me and I’m more than happy to take a look and help you move forward effectively. Thank you SO much for writing this article. I’m new to ConvertKit and was going crazy trying to figure out how to not bombard my subscribers with emails during my welcome sequence. Your article showed me how to do this so easily! Much appreciated!